The Trilobites Crossword puzzle is a great review activity. Elementary children will not be familiar with the concepts or vocabulary without prior lessons/work. Though this can be a challenging crossword, younger children can be successful with it given some other lessons and activities. Do an overview/vocabulary lesson before handing out this puzzle. In addition go over the parts of a trilobite. With this as prerequisites they should do well with this activity. Another possibility would be to write out a word list either on paper or on a chalkboard. This will help with the spelling of unfamiliar words. Should you need references the information needed to complete this crossword is on our trilobites pages. Secondary students may enjoy researching the answers themselves if they are provided with adequate resources. This can take different forms depending on what is available. 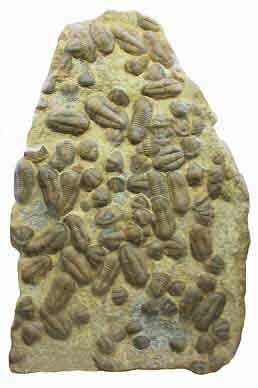 Books and charts on trilobites are out there but because they are somewhat specialized they may not be in your library. All of the clues and answers needed to complete the puzzle are on our trilobite pages. You may print these pages for student reference or if your children have access to the internet the link above will provide all that they need.